Gita Refractories product line includes High Alumina Bricks, Magnesia Carbon Bricks, Magnesite, Mag-chrome Bricks, Chrome-Mag Bricks, Chromite Bricks, along with Monolithics consisting of Conventional, LC/ULC Castables and Ramming, Felting, Gunning and Spraying mixes. 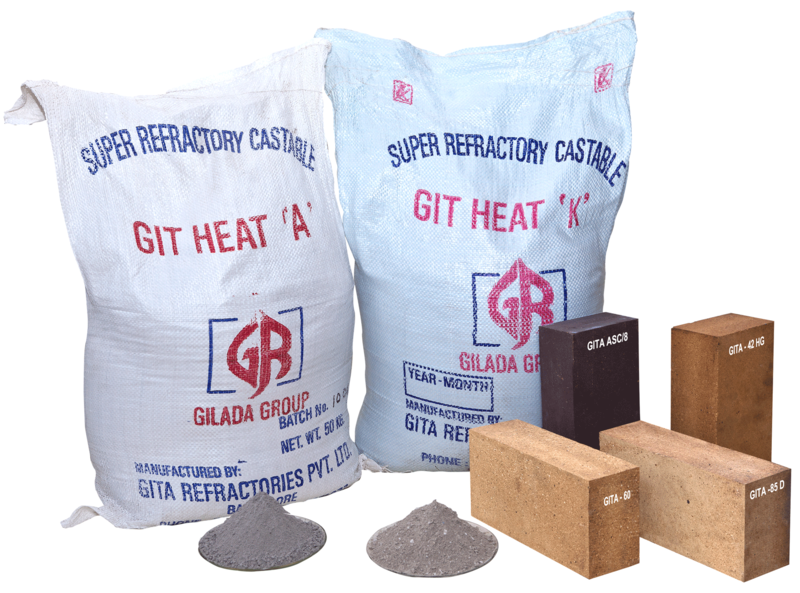 Gita Refractories is a part of Gilada Group and a well know Refractory Manufacturer in South India for Bricks and Castables. We are also involved in Super Refractory Manufacturing, High Temperature Refractory, Sustainable Refractories Manufacturing. Gita possesses sophisticated plant infrastructure and is equipped with ultra high temperature tunnel kiln (+17500 degree), several high capacity pneumatically operated heavy-duty mechanical presses, modern mixers, gasifier, mill house consisting of ball mill and other grinding units etc. 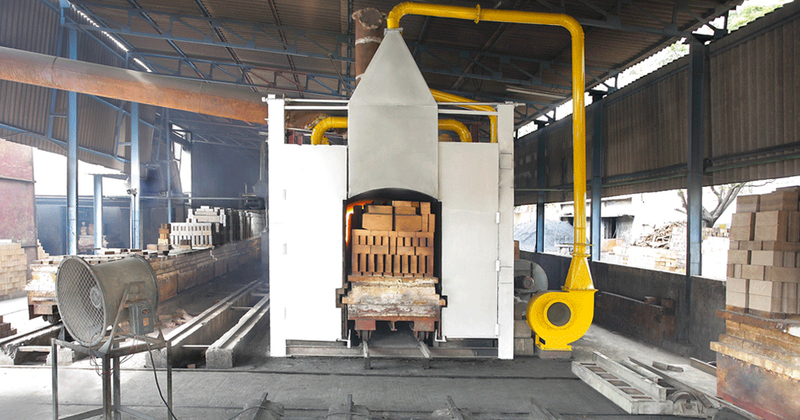 Fine and Reliable Refractory Manufacturer in South India since 1988. 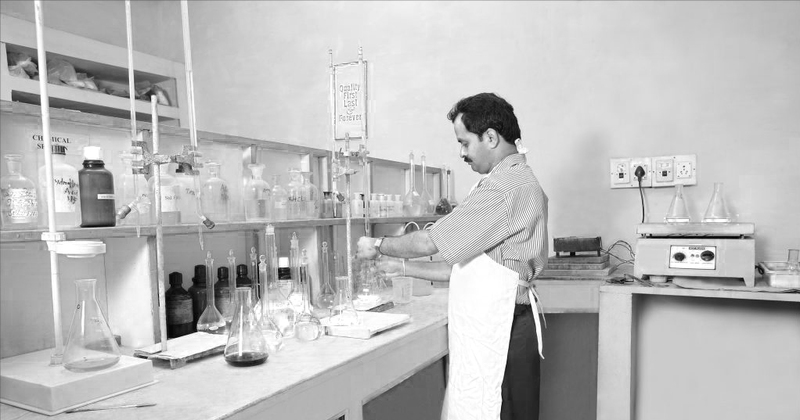 “We at gita refractories dedicate ourselves towards quality, our focus area is not only to meet the demand but also provide excellent service and to go beyond”. Refractory Manufacturer in India since 1988. 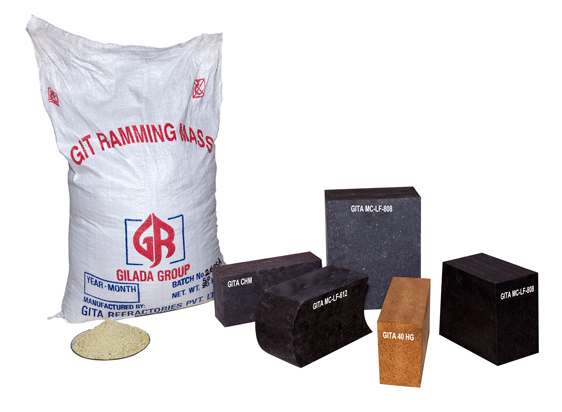 Gita Refractories product line includes High Alumina Bricks, Magnesia Carbon Bricks, Magnesite, Mag-chrome Bricks, Chrome-Mag Bricks, Chromite Bricks, along with Monolithics consisting of Conventional, LC/ULC Castables and Ramming, Felting, Gunning and Spraying mixes. Gita possesses sophisticated plant infrastructure and is equipped with ultra high temperature tunnel kiln (+17500 degree), several high capacity pneumatically operated heavy-duty mechanical presses, modern mixers, gasifier, mill house consisting of ball mill and other grinding units etc.